Have fun while practising finding area and perimeters of rectangles! To begin this topic we have looked at how to open a story. We found that you can describe the setting, describe a character or 'hook' your reader with a question or thought. We used many different descriptive techniques when describing our setting or character - Can you tell a friend what techniques you can use? 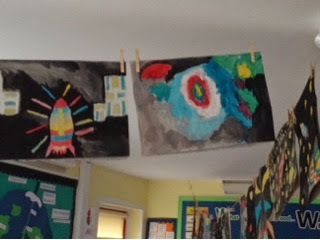 This week, year 5 have produced their own space scenes after looking at the tints and tones used by Peter Thorpe and brush strokes by Monet. Well done to all the artist! 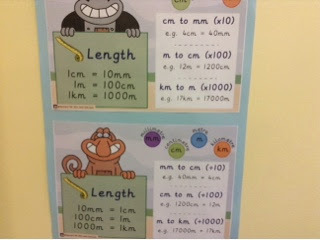 This week we have been looking at converting the units of length. We noticed that we needed to use our place value skills. If you are finding this weeks homework a challenge, here is some help! This week we looked at the work of Monet. 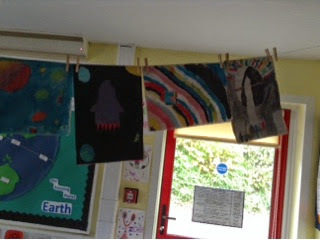 We looked at how he used his brush strokes to give a 3D effect to his paintings. 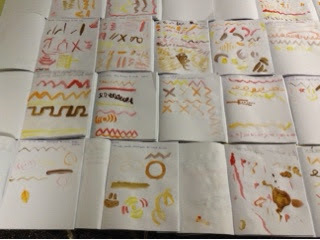 Then we tried some of our own brush strokes- Mrs Cheeseman challenged us to create straight lines and curvy lines; thick and thin. Here is a link to find out more about the 5K's of Sikhism. 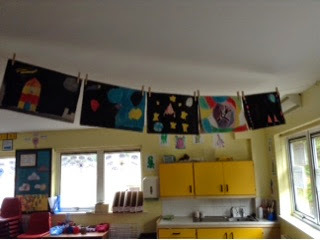 This week we have had fun learning through play. We have had the opportunity to start using protractors to measure angles. 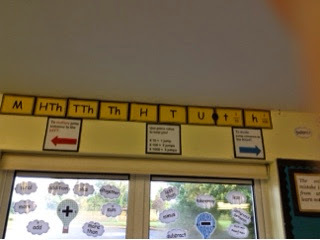 We really liked being the teacher and telling Mrs Cheeseman where she was going wrong! This week we have been working hard on our 'working together' skills. 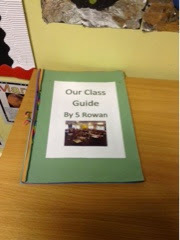 As a class we have decided what is needed in our class guide and then chosen as a group which jobs each of us needs to do. 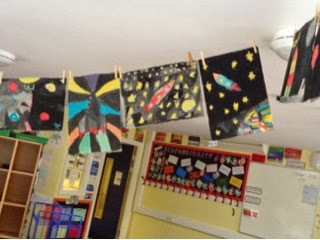 Come and see it outside our classroom. Today we started using text boxes to create fact files about South Africa. If you want to try, you need to be in Word and look under the insert button for text box. For more facts about South Africa - look under the South Africa page on this blog! We have begun to look and find out what life is like in a different country. First we looked in atlases to find out where South Africa is in the world and then looked to see which countries and oceans surrounded it. For more interesting facts and links to websites, look at the South Africa page on this blog! 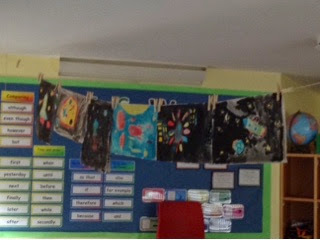 We have tried to make our own tints by adding a primary colour to white. 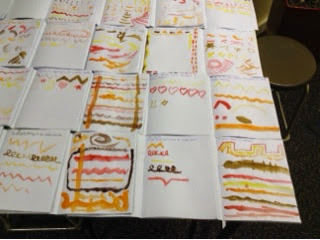 We also tried making our own tones by adding a minute amount of black to a primary colour. This week, our spellings are homophones again. At night, a bear had a fight with a knight. My cat had a long tail. Would you like some sweets. I went to school bare! My sister loves fairy tales. Your bag is full of junk.